With the Halloween season quickly approaching it’s no surprise that a number of darker films are slated for release including mother!, Friend Request, Flatliners, Happy Death Day and the latest Saw installment. 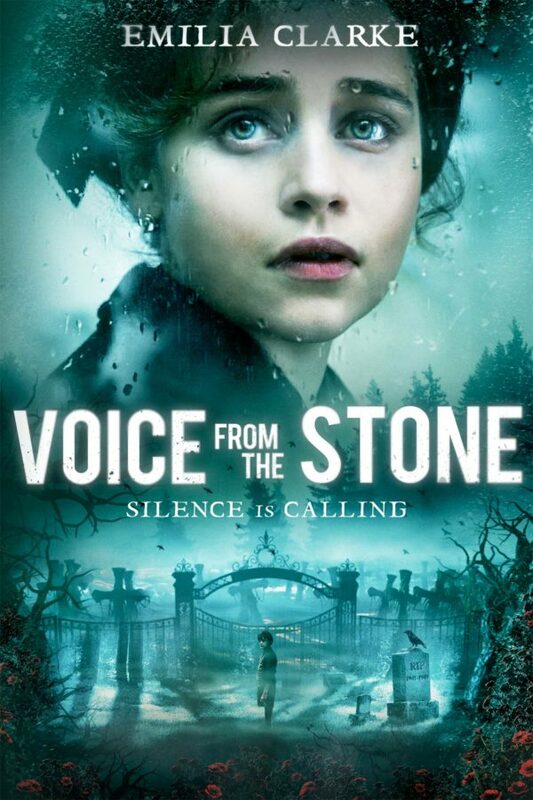 One film that should not be overlooked during this time is Eric D. Howell’s eerie drama/mystery Voice from the Stone starring Game of Thrones’ Emilia Clarke. The film made its UK premiere at FrightFest last month and is now currently available on DVD and VOD in the U.S. This week the film’s composer Michael Wandmacher, whose other credits include Underworld: Blood Wars, Punisher: War Zone, & Drive Angry, received a World Soundtrack Public Choice award nomination for his score to the film, so we decided to speak with Michael about everything from co-writing the film’s end track ‘Speak to Me’ alongside Evanescence’s Amy Lee to creating the Underworld: Blood Wars score. How did you become involved with Voice from the Stone? The director, Eric D. Howell, is a close friend. On the very first day that Eric knew he was making the movie we talked about the score and the huge role it would play in the film’s narrative. Throughout the entire process we continued to refine the direction and tone of the music. It was a great experience to be involved early on like that! What was your creative process like for Voice from the Stone? Did the director have a pretty specific idea of how he wanted the score to sound or did you have more creative freedom to experiment? Eric had a very specific set of ideas about the score and the overall tone, but also wanted me to try different things since we had the time. We talked at length about instrumentation, mood, themes, etc. Using ideas from those conversations, I composed about a dozen short music vignettes, keeping some very close to the exact descriptions he gave me and others completely for the sake of experimenting. The bulk of the score was born from those pieces. Some were heavily expanded upon, others are in the film pretty much untouched. The Voice from the Stone score was released earlier in the summer. What do you hope people will take away from the music on its own merits besides how it’s presented in the film? The two things I’m most proud of in the score are its intimacy and its tone. The chamber-sized orchestra and the soloistic bedrock of the music are quite a departure from the huge aggressive scores I’m known for. This approach forced me to really concentrate on melody and color. There wasn’t a massive wall of sonics to rely on. In many sections, it was just one or two instruments! As for the tone, it was really tricky to walk the wire between being unsettling and beautiful at the same time. I think the end result nails that balance. You collaborated with Amy Lee of Evanescence on the title track for Voice from the Stone. How did that come about? From day one, Eric knew he wanted a female-vocal driven song to wrap up the story. We were talking about it one day and having that what-if conversation, wondering if we could get a major artist to participate. After all, this was a small indie film, so who would listen to us? Amy was at the top of our list of artists and we figured what the heck, the worst that can happen is she can say no. Through some people I knew (and a lot of emails and calls! ), we were able to get her a beautiful letter that Eric wrote about his vision for the song and an explanation of the story. She read it, watched the film and loved it. If I remember correctly, she wrote the first section of the song that night! Working with her to finish that tune was a career highlight for sure. You have scored everything from TV shows, to video games and films. What are some of the biggest differences in scoring a film such as Voice from the Stone as opposed to a video game such as Twisted Metal? The biggest difference is how the music is constructed. Games run primarily on music loops. Each piece is composed to cycle during gameplay so it’s important to create music that doesn’t get monotonous or annoying and has very exact pacing. The use of themes, signature motifs and rhythmic passages needs to be arranged so they remain effective when played over and over. In a film, it’s a one-time-through experience. Tracks are scored tightly to picture and each track is crafted to exactly match what’s going on on-screen. Scoring in such a precise manner wouldn’t be practical in games because of the dynamic environment of gameplay. It can be different each time you revisit a level or area of a game, whereas a film is intended to play one way every time. You scored the latest Underworld installment, Underworld: Blood Wars. Was it difficult coming into an already existing franchise? What was your favorite part about working on that film? Not at all. I was super stoked to take on that challenge! Every part of working on that movie was a joy. Iconic characters, vampires, werewolves, gothic mansions and castles, fortresses clad in ice, high-octane action. Sounds like fun to me! I especially loved the opportunity to write such epic, powerful music. There was no limit on scale or scope. In terms of genre, do you have a preference you like to score for? As a kid who grew up completely immersed in all things considered hard genre, I love anything comic book, sci-fi, fantasy or horror-related. But, as Voice from the Stone shows, I’m up for something completely different, too!